A simple rubber band is an item that is found in many places. This item is common in the drawer of a desk at an office or in a cabinet. A homeowner may have a package that is among other office supplies. The uses for this item are numerous based on the application. You may already be familiar with a variety of practical uses, but there are many new uses that might not be known. You will need to have a significant rubber band supply to put towards various applications. This means saving various sizes that you may have previously just thrown away. If you do not have any at home, then the best way to start a new rubber band supply is buying a package at a local retail store. The Internet is another option to consider if you want a supply of different sizes. 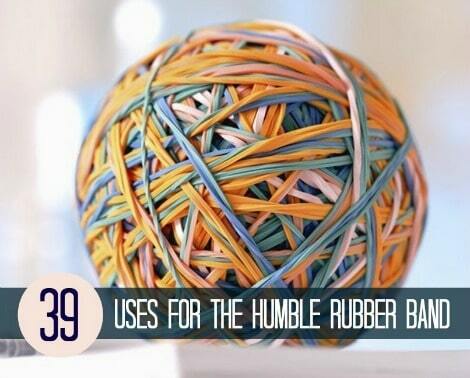 Many uses for a single rubber band will depend on your situation. You may find one use that might offer a solution to a vexing problem. One thing to consider is using a particular size with other items if you want a specific result. These items are stronger than most people think. This means you may find that a variety of uses that are simply amazing. For example, men and women can easily use a rubber band as a clothing accessory depending on the situation. The best thing about using rubber bands is they can be replaced easily when when they snap and break. Also, a rubber band can be used as a measuring device to an exercise tool when applied correctly. This item will be extremely versatile just like using duct tape.